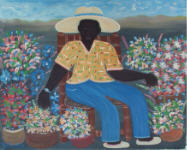 Gerard was born in Petionville on June 6, 1925. 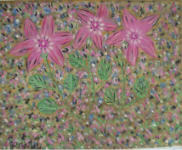 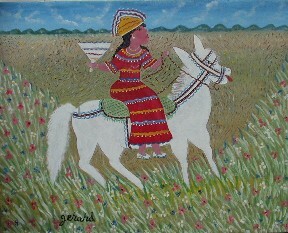 A self made artist, Gerard has been painting original and unique naiive art since the 1970's. 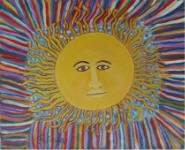 He is a simple, spiritual man with a good sense of humour and a passion for life. 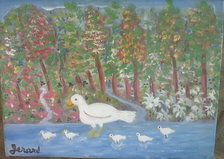 His close connection with nature and God gives him the inspiration to create beautiful paintings. 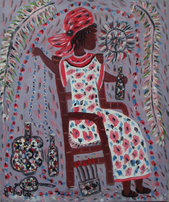 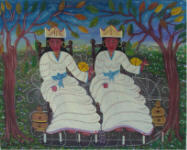 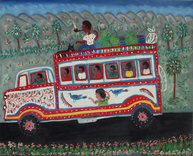 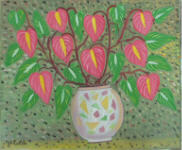 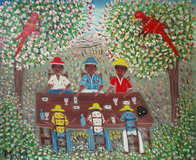 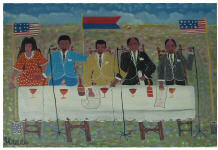 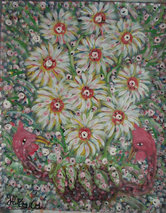 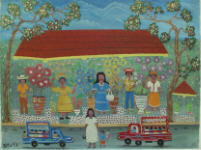 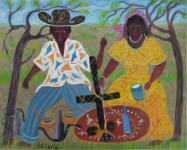 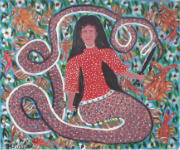 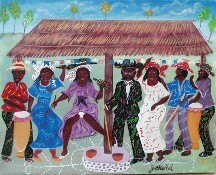 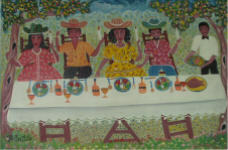 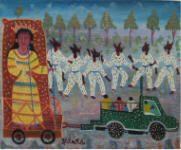 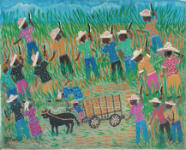 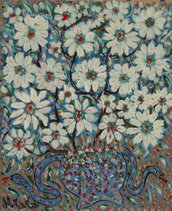 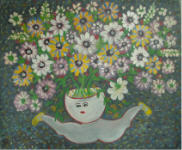 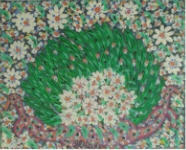 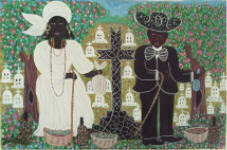 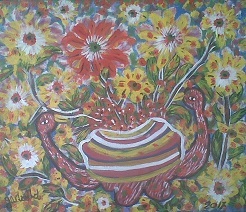 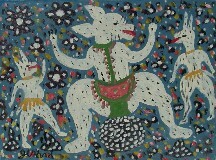 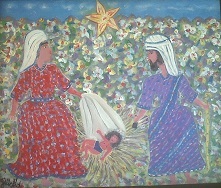 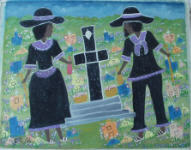 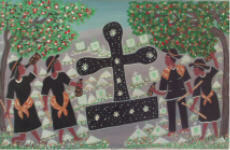 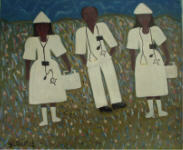 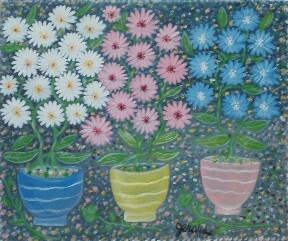 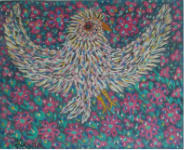 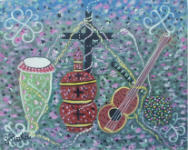 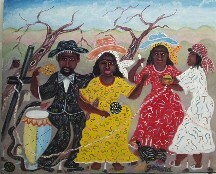 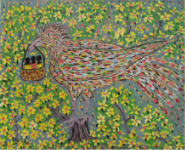 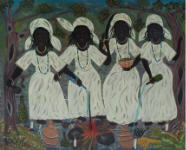 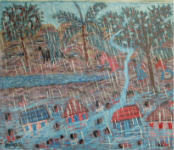 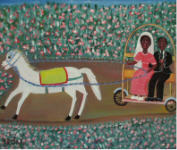 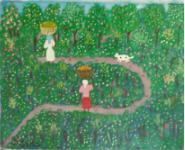 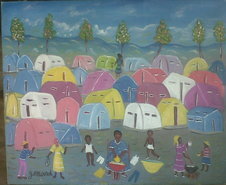 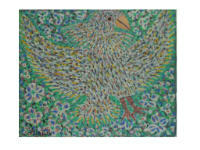 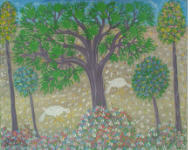 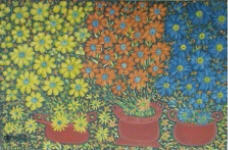 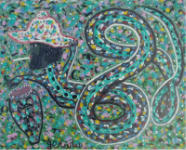 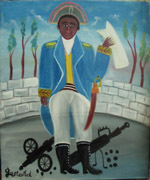 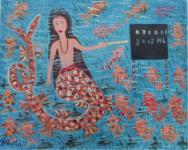 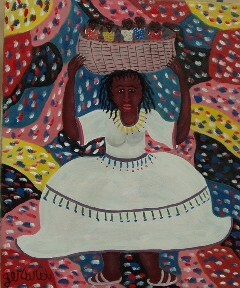 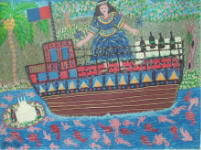 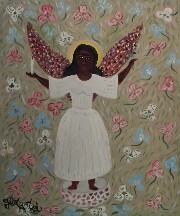 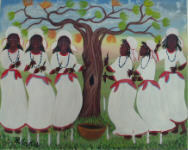 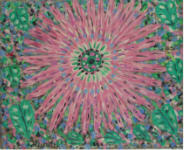 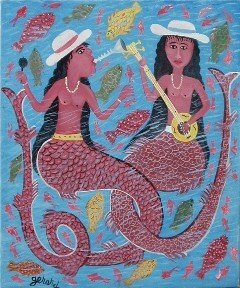 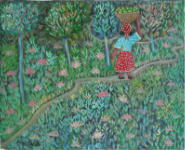 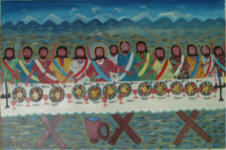 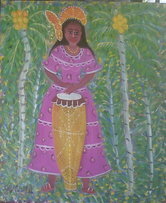 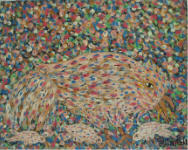 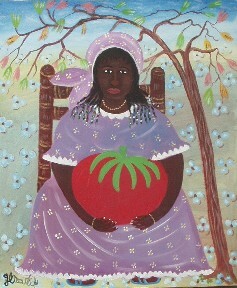 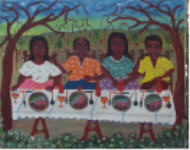 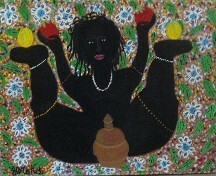 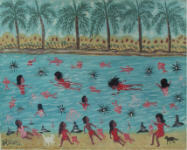 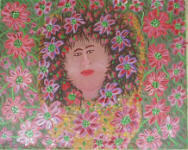 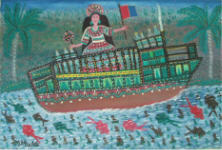 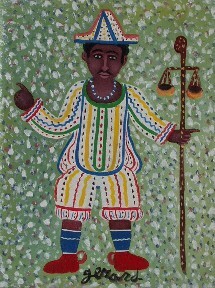 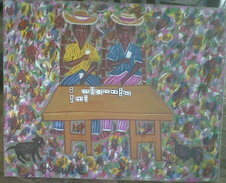 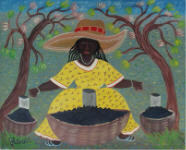 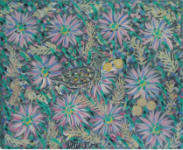 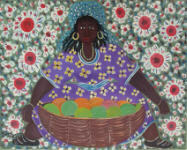 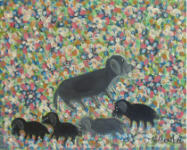 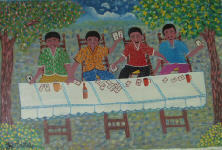 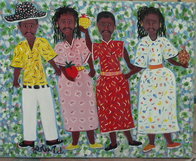 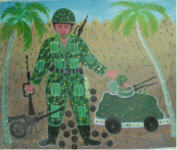 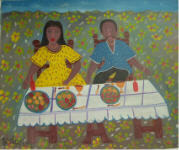 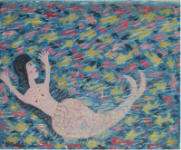 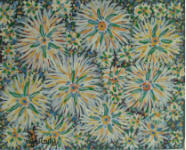 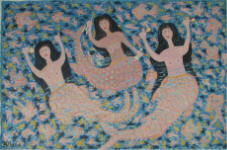 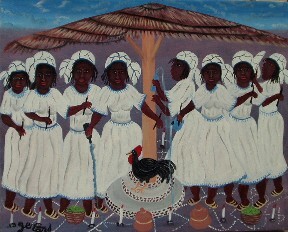 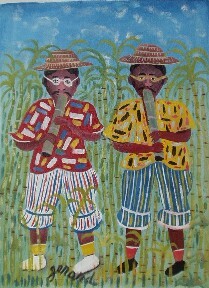 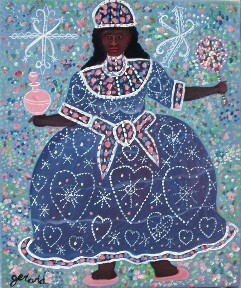 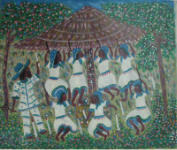 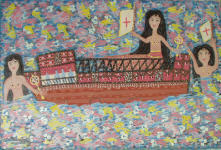 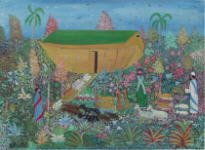 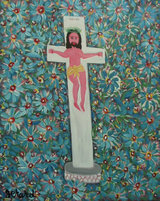 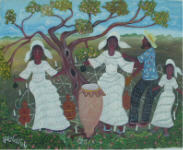 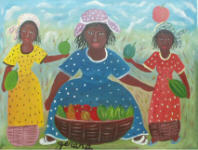 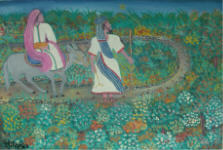 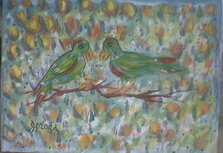 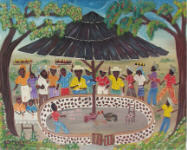 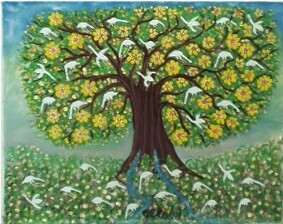 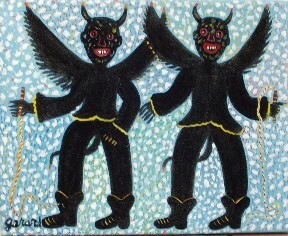 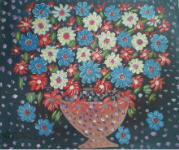 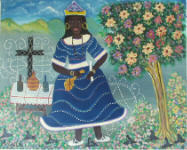 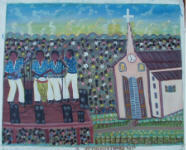 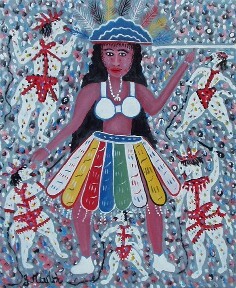 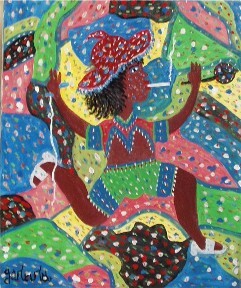 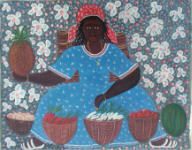 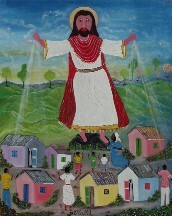 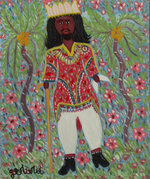 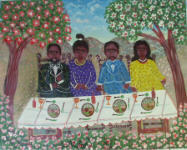 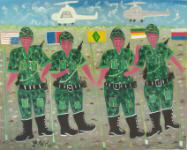 You will find his paintings featured in most Haitian Art books. 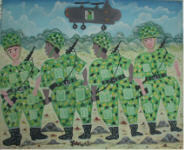 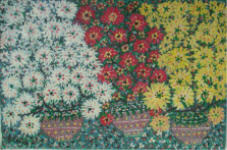 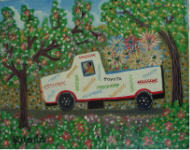 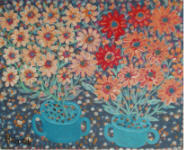 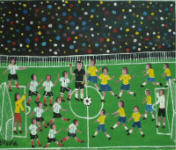 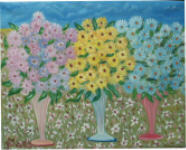 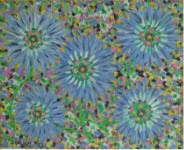 We provide Gerard with imported canvas and imported oil paints to have highest quality paintings possible.